This coupon was last used 4d ago and is currently rated Likely to work. Mark Thomas I am validating that this deal works as described. Simply enter the code during the checkout process to apply this discount. There may be some exclusions that apply to this deal. @carmeloamr I am validating that this deal works as described. 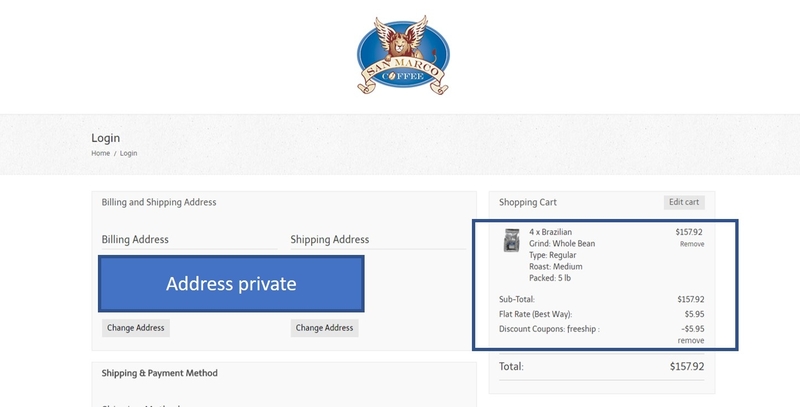 Enter code (FREESHIP) and Free Shipping on Orders Over $89 at San Marco Coffee (site-wide). The free shipping coupon has to be used at the time you place an order, we cannot apply it to an order after it has been placed. Laura DeLuca Type the eCoupon Code FREESHIP into the eCoupon field during checkout and press the update button to apply the eCoupon. The shipping amount will be deducted automatically, if eligible. This offer is for the Contiguous United States (lower 48 states only) Both billing & shipping addressees have to be within the US. 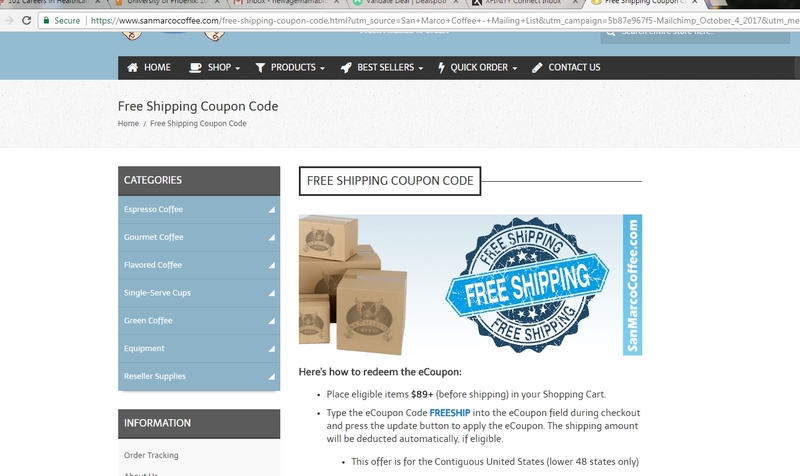 Free shipping cannot be applied to any other offer or discount coupon. PO Box/APO/FPO are excluded from this offer. 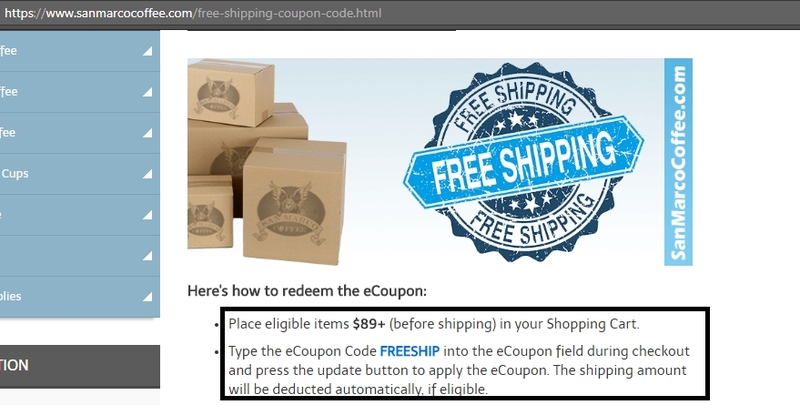 The free shipping coupon has to be used at the time you place an order, we cannot apply it to an order after it has been placed.